These were really, really good. Even my non-zucchini loving kid loved them. We were fighting over the last one. Really delish dipped in spicy garlic mayonaise, which my son always makes. Yummy! Thinly slice zucchini, but not paper thin. Pour milk in bowl, mix spices, parmesan, panko and bread crumbs in another bowl. Dip zucchini in milk then in bread crumb mixture. Place on greased cookie sheet. They’ll stick if not greased! Ok. Now just spray with a bit of oil and bake at 425 until browned, about 15-20 minutes, but check on them after ten. I didn’t even turn them over. So simple, so good. Garden fresh, too. Definitely Good Life Food! I made 2 extra large cookie sheet pans of these, for my family of 5. FYI. 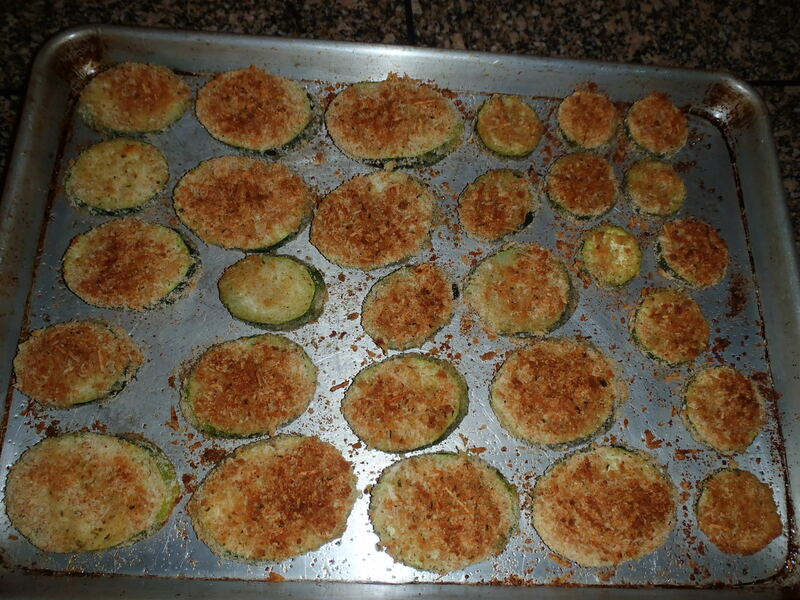 This entry was posted in Food For The Good Life, Simple Living and tagged vegetarian, zucchini chips. Bookmark the permalink.